COMMENT: One feature of DublinBikes is its sturdy basket — these stand up well to Bleeperbike’s ‘things’, that can’t be described as baskets. 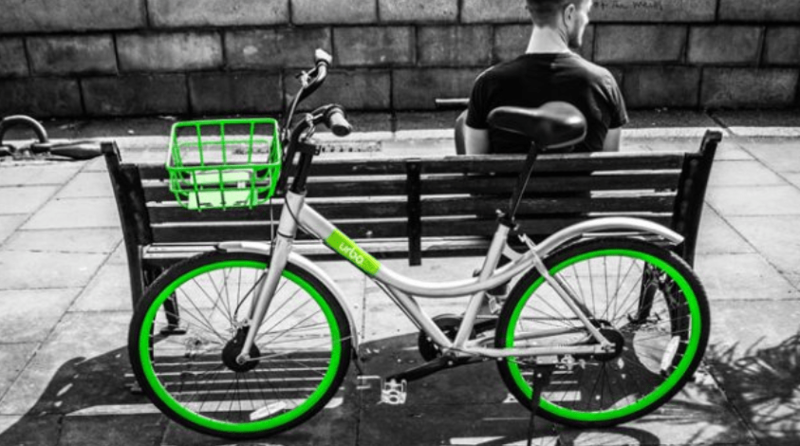 The soon-to-launch Urbo bikes — also stationless — seem to have better baskets. But testing them hasn’t been possable as they seem to be missing their July launch, unless they launch in the next few days? I’m a bit worried about the state of some of the BleeperBikes. I love the service because I can get the whole way into town from my house when I don’t want to use my bike. But I’ve seen the dismal, barely functioning state of bikes in other cities, and I’m already starting to see similar problems here. Dodgy gear shifters, squeaky brakes, chains that keep jumping, saddles that lower and turn while cycling. Hopefully they are doing enough to get dodgy bikes off the road. 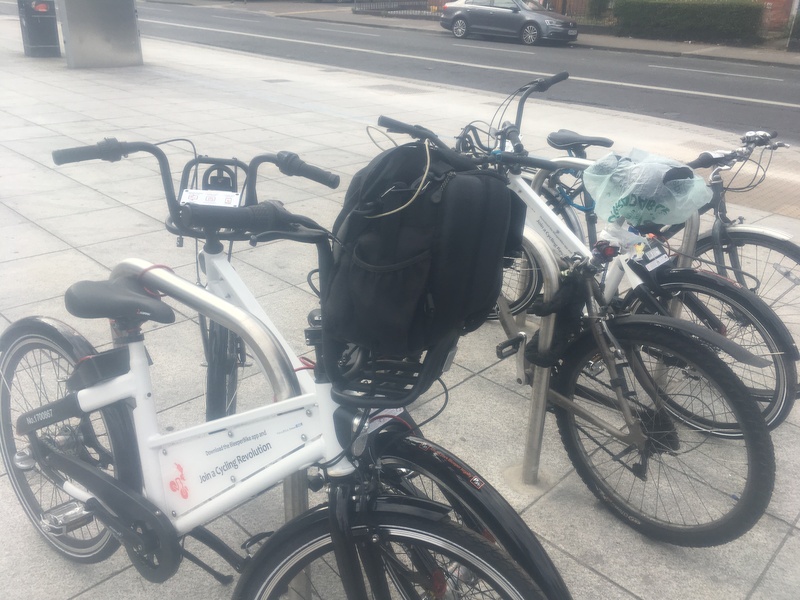 The basket should be a crucial component of any city bike sharing scheme; the storage capability of Dublin Bikes compared to Bleeper Bikes acts as a serious disincentive to sign up to or switch to the latter service, at least for this user of Dublin Bikes, and presumably others also. I carry a backpack, so this isn’t a deal breaker to me. 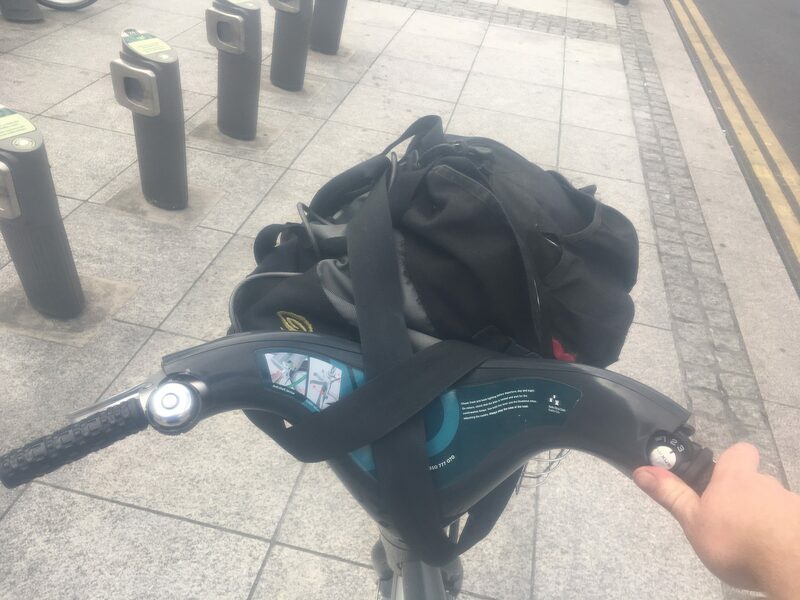 I’d rather a backpack than the extra weight when cycling, and lack of balance when locking up, etc. The main drawback to the Bleeper bikes is how slow they are — going from using a single speed to these, it feels quicker to walk on some terrains. Would happily pay extra for access to a lighter fleet. I cycle. I drive a car. I mostly drive a motorcycle. If either my car or motorcycle had known blind spots, was recognised by road engineers and others as a danger to cyclists, was by its sheer size and lack of maneouvrability not suitable for driving in a city, had been involved on a regular basis in accidents where there was loss of life to cyclists, caused congestion by its mere presence during rush hour, and had to have assistance while it backed up or turned corners, then my car or bike would long since have been banned. Trucks and hgv’s were designed for motorways. They do not belong in cities. They should conduct their business in cities before 7 am and after 7 pm. Agreed, the front thing is only useful for carrying a rolled up newspaper or breakfast roll. New York’s Citi bikes have the same thing, I wonder is it an insurance restriction? I’d say the point of those front ‘baskets’ is that people walking passed can’t use them as a bin.